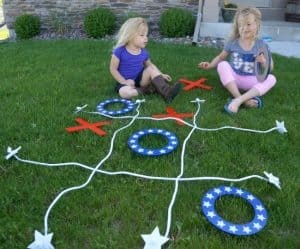 I really want to go camping this summer, but before heading to the great outdoors I thought we would test the waters and see how our family faired in the backyard first. I have 2 kids and our family of 4 has never shared a tent together, this is a big step! Backyard camping might be all we do this year, but we sure had a blast doing it. We pitched a tent, stocked up on special snacks and enjoyed some family time around the fire. 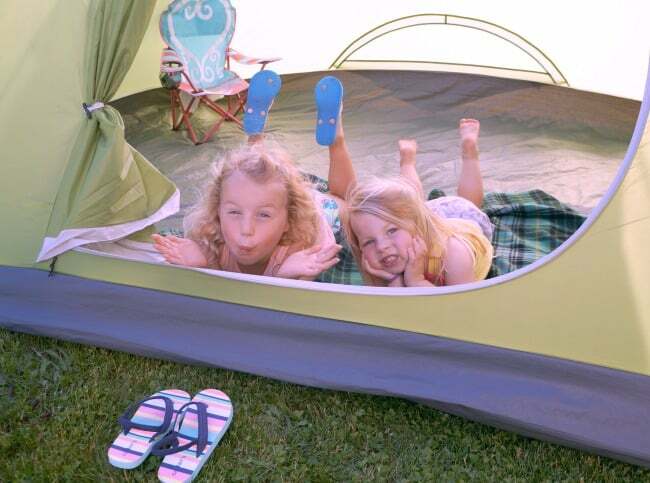 Check out how our family did backyard camping right. Mid-day one Saturday my husband and I pitched a tent in the backyard. It took longer than expected because the kids wanted to help. It was so cute to watch them try to hoist up the poles. Once it was up we gathered blankets, flashlights and all the essentials for our first adventure in backyard camping. After dinner, we headed back outside for the fun to begin. We already had a big meal but I packed a few special snacks for our family to enjoy. 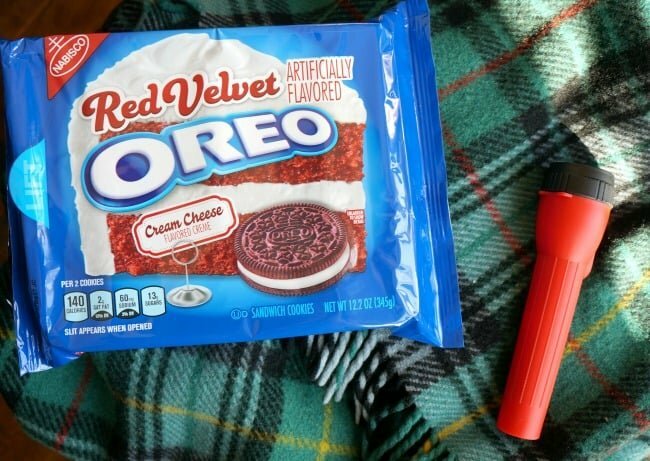 I grabbed mine and my husband’s favorite snack that we buy on special occasions, OREO cookies. I found these OREO sandwich cookies at my local Pick ‘n Save. I was able to buy kid-friendly snacks at Pick ‘n Save too, I love that it’s a one-stop shop. Find your local Kroger/Kroger Family of Stores to get your OREO sandwich cookies. Snacks are key to a successful camping trip. I purchased 3 amazing OREO varieties that are now a grown up favorite in our house. OREO Red Velvet, OREO Cinnamon Bun and OREO Birthday Cake. These varieties are Wonderfilled and that is exactly the word I would use to describe them. My favorite quickly became Red Velvet, it has a rich creamy filling that reminds me of my favorite cake. In addition to OREO sandwich cookies, I got something just for me, the new MILKA OREO Chocolate Candy Bar. 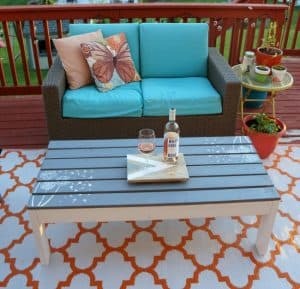 Let’s be honest Moms, after a long fun-filled day with the kids you need a little something just for you. 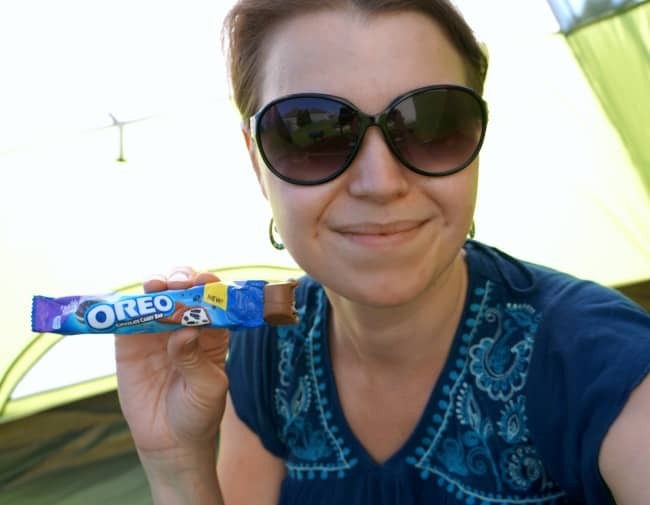 This delicious bar has crunchy bits of OREO, creme filling, and rich MILKA chocolate candy. You are probably like me and typically buy food and everything else with the family in mind first, don’t forget to get a little something extra for yourself on your next shopping trip! You can head to your local Kroger for an in-store demo happening 6/15-6/18. These demos will share exclusive recipes, information on the newest varieties of OREO as well as the MILKA OREO Chocolate Candy Bar. 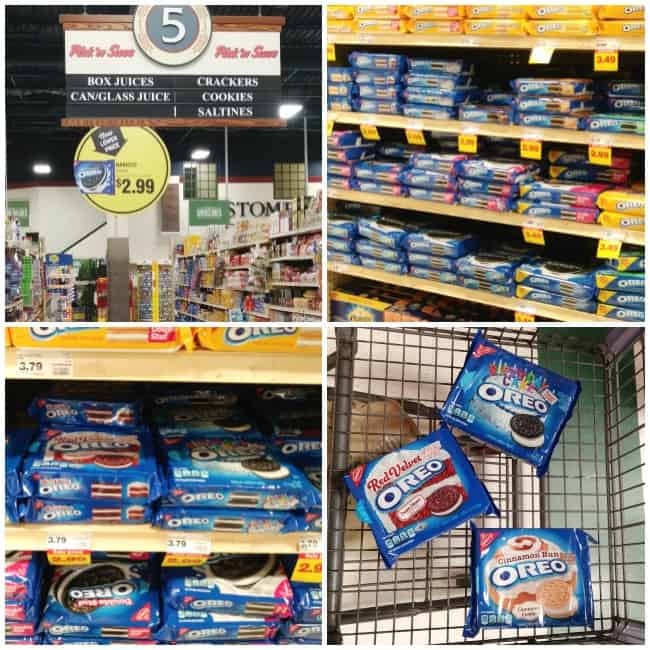 Kroger Moms are in the know and now you can get access to the Kroger OREO Wonder Vault to discover everything OREO. I’ll make your shopping experience even better, right now buy one Wonder Vault flavor OREO and get a free MILKA OREO Chocolate Candy Bar at Kroger grocers; offer valid 6/14 – 6/20. Armed with plenty of blankets (even though it was 90 degrees) a half dozen flashlights and a cozy fire we had an amazing family campout. 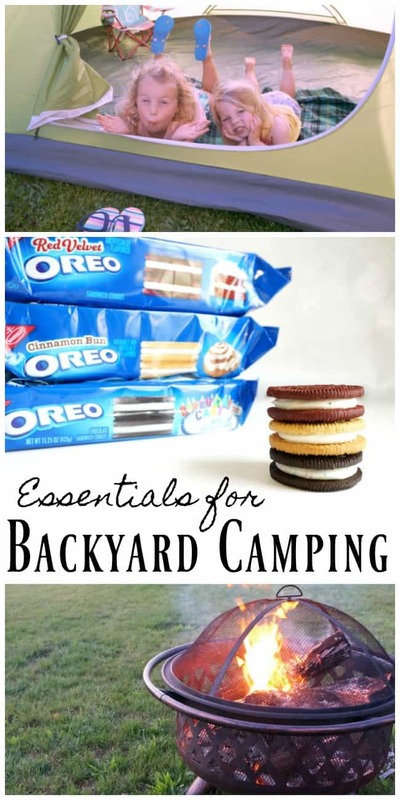 We made our backyard camping experience even better with a special OREO snack for the adults too. 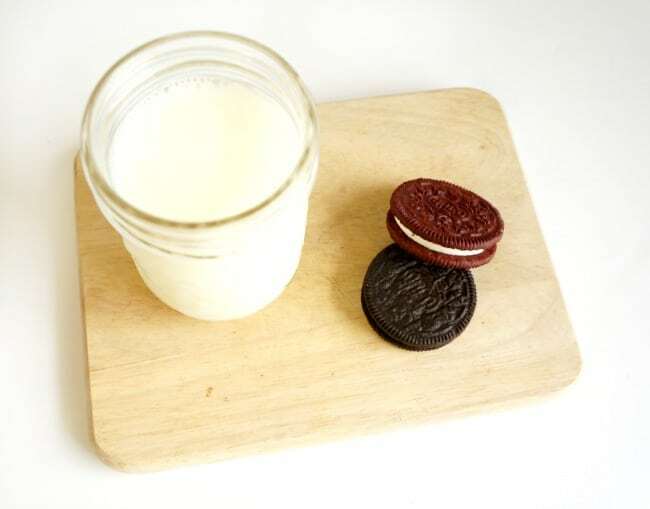 The beautiful thing about backyard camping is not only being close to home but being close to indoor amenities like a refrigerator because I have to have a cold glass of milk in which to dunk these delicious Wonderfilled OREO cookies. A serving of 2 OREO sandwich cookies is the perfect amount for a delicious snack. We made it through our first camping trip and this is probably all we will do this summer. But I think camping at an actual campground is in our future one of these years. I’d love to hear about your family camping stories, I know you have some good ones friends. 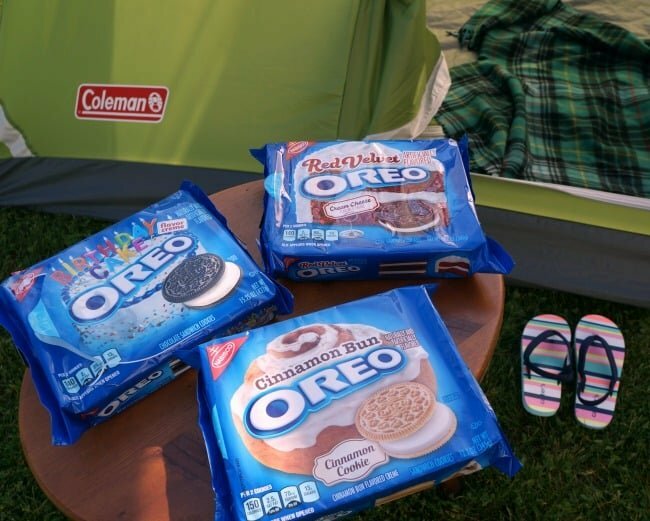 Explore the OREO Wonder Vault and make these snacks part of your backyard camping experience. Oh man, it’s been WAY TOO LONG since I’ve had an Oreo…thanks for swamping my willpower! But what fun it looks like you had…are you ready for your ‘in the woods’ camping trip? Oh, how fun!!! Boy, do we need to step up our Orio Flavours here in Australia! They all sound so yummy!!!! Looks like you guys had a ball! Oh the fun of kids and the outdoors camping. The excitement kids give off is almost too much.